The Malaysian cast for Another Country. Photo: Lyn Ong. What defines “another country”? Is it a place where the grass is greener? Where people are fundamentally different? Or are they the same as us, only separated by a border and policies drawn by our governments? These questions and more are part of Another Country, a theatre production soon to be performed in both Malaysia and Singapore. Under Singaporean theatre company W!LD RICE’s year-long imagiNATION season, Another Country coincides with Singapore’s 50th year of independence. It’s a production that celebrates the shared history of Malaysia and Singapore, before and after the separation in 1965. As such, it is also a collaborative effort between actors and directors from both countries as they each seek to explore, understand and finally perform the intricate weave of stories from the texts of each other’s countries. W!LD RICE’s Resident Playwright, Alfian Sa’at curated the Singaporean texts for the Malaysian cast with Jo Kukathas as co-director. On the Singaporean side, renowned Malaysian playwright Leow Puay Tin curated the texts and Ivan Heng, Artistic Director of W!LD RICE is helming the production. Both sides will eventually perform their interpretation of the texts together for the final show. 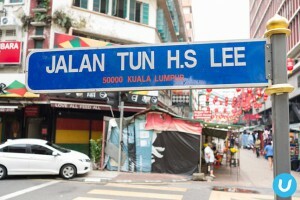 It’s a production that celebrates the shared history of Malaysia and Singapore, before and after the separation in 1965. With a cast of five actors on each side, this production combines some of the best of Malaysia and Singapore’s performing talents. The Malaysian cast will comprise Anne James, Ghafir Akbar, Iedil Putra, Sharifah Amani and Alfred Loh while the Singaporean side has Gani Karim, Lim Yu-Beng, Janice Koh, Sharda Harrison and Siti Khalijah Zainal. Sharifah Amani and Iedil Putra. Photo: Lyn Ong. The histories of both our countries are inextricably linked together but how Singaporeans or Malaysians view the separation can be very different. For the most part, the separation became the defining point in how each country was eventually governed, a shift in demographics and much more. Yet many of the younger generation do not feel the impact of this separation. This is where the role of theatre comes into play. The poster for Another Country. Through performing these texts, the Malaysian-Singaporean diaspora becomes a bit more distinct and clear to the actors, leading to a new sense of understanding for the other country. For some, the exploration has also generated a deeper awareness of an earlier time when both countries were one. Jo Kukathas. Photo: Lyn Ong. 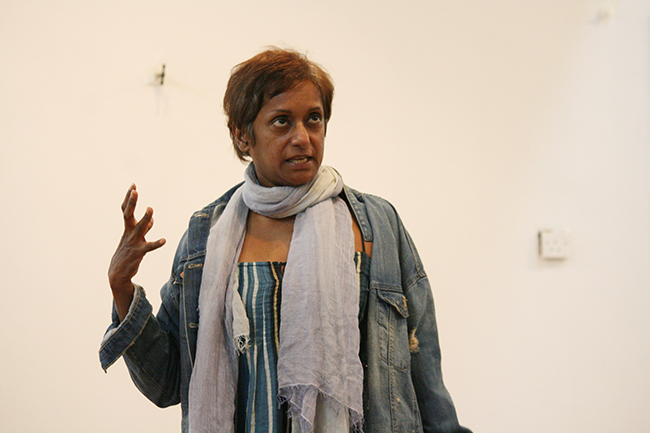 During the rehearsal, Jo Kukathas guides her actors through a series of motions that evolve and take shape as they rehearsed to find the best fit for the texts. Starting from the Malay annals up to more recent pieces in 2014, the curated texts comprise of historical texts, plays, poems, pantuns, songs, letters and more. This brings about challenges in adapting certain pieces for stage and makes for an interesting experience to watch it being performed for the first time. Anne James. 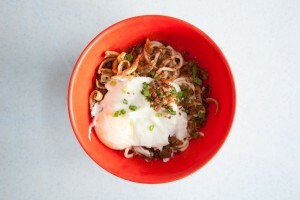 Photo by Lyn Ong. Another Country has been occasionally compared to Second Link, an earlier incarnation of this project which received rousing praises when it was performed. However, Jo Kukathas is quick to point out the technicalities of this play are as far as the similarities go. “The new text creates a new direction, and I’m a new director so I’ll create a new direction as well,” she says. Yet plays about cultural identity – about different voices and where they conflict and connect, have become Jo Kukathas’ forte. 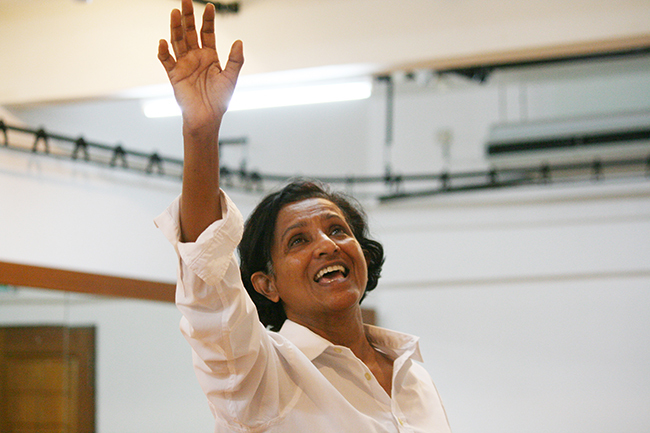 In the past few years, she has directed Nadirah and Parah, both plays by Alfian Sa’at which nonetheless felt very Malaysian, speaking to our deep and familiar concerns about race and religion. Last year she staged White Rabbit, Red Rabbit, a play by Iranian playwright Nassim Soleimanpour with a different actor enacting an unseen script every night. Beyond this performance, Malaysia and Singapore’s theatre scenes have long influenced one another. Despite our neighbourly sense of rivalry, our actors, writers and directors have for a long time now, crossed the causeway – either permanently or for at least the run of a play. That being said, we rarely see Singaporean theatre practitioners coming here. Is the state of Malaysia’s theatre suffering from a brain drain? The cast of Another Country during rehearsals. Photo by Lyn Ong. June is a current member of Five Arts Centre, a performing arts collective and has stage-managed and produced theatre, dance, talks and site-specific projects since 1998. She understands all too well how lack of funding and red tape could sometimes impede the growth of our Malaysian art industry. 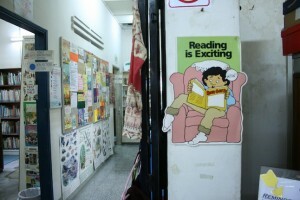 “In addition, Singaporean government programs to build future audiences, starting from schools, has now allowed for a segment of populace that supports the performing arts. The existence of this type of audience allows for the sustainability of production companies. In Malaysia, we unfortunately don’t have a performing arts-going audience that is as robust,” she says. Undoubtedly, this play creates a huge opportunity for theatre lovers to watch some of the brightest talents from each country sharing a stage. But it also asks us to rethink what defines a country in the first place and in turn, how much difference 50 years have made to where we are now. 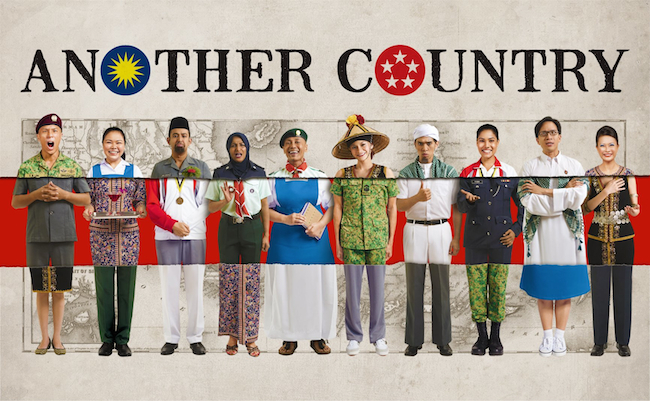 Another Country runs from the 4 – 14 June at DPAC in PJ and at the Drama Centre Theatre in Singapore from 25 June – 11 July. Find out more here.